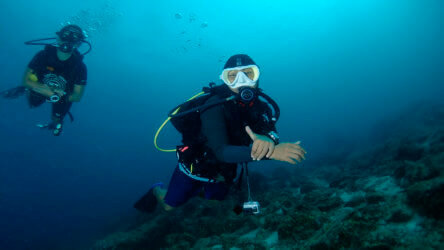 Prevent Your Scuba Diving Mask From Fogging And See Stuff! 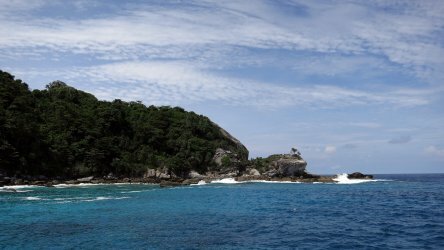 A fogging scuba diving or snorkelling mask has been the ruin of many Phuket Scuba diving days. Every scuba diver has probably experienced the frustration at least once. Let’s face it, it’s one of the most important pieces of equipment. Not only for enjoyment but also for safety – little point in having an air gauge if you can’t see it. Well don’t fear, we’re going to run you through the steps that should prevent your scuba diving mask from fogging. 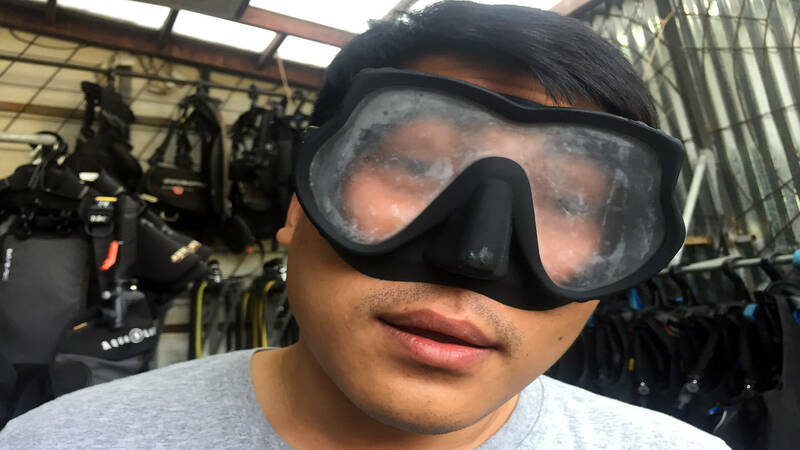 Why Is My Scuba Diving Mask Fogging? Chemicals! Not the mind altering good stuff but agents used in the manufacturing process. Certain chemicals necessary for the manufacturing of the mask skirt can leak onto the mask lens. Not all the masks will have this so that’s why some fog and some don’t -it’s the luck of the draw. Obviously if this could be completely prevented we’d all be happier but it seems it’s just not possible. So we have to make a little bit of effort to get that perfectly clear lens and see our wonderful underwater world. You may well have seen dive pro’s using a lighter to burn the chemical from the mask lens. This method definitely works but we can’t really recommend it. There is a chance that you could melt the silicon skirt. If you’re a pyromaniac and this is the only feasible solution to you then be very careful. Don’t overheat the lens and keep the flame away from the skirt. You’ll see the chemical residue turn black and after a few minutes you can gently wipe it off. Repeat until the lens no longer turns black. No, not quite. Before every dive you’ll still have to apply some kind of defog. There are many brands on the market that all work well but you don’t have to buy them. Toothpaste and baby shampoo should do the job. It may not seem too appealing but spit works very well and you can never forget it. Breathing through your nose can cause your mask to fog. New divers take a little while to get in the habit of breathing only through their mouths. Potentially a quick fix if you can make it habit as soon as possible. Avoid touching the inside of the mask lens after defogging. Oils from your fingers can dilute the effectiveness of defog agents. If this seems impossible then at least wash your hands thoroughly before touching the lens. A good fitting mask will reduce the amount of water that gets inside and so reduce fogging. Make sure select a mask on fitting and not colour co-ordination with the rest of your kit. Potatoes! Apparently rubbing a cut potato on your mask will stop fogging. Not met anybody who’s actually tried it but you never know. You’ll probably have to bring your own spud, it’s unlikely you’ll be lucky enough to find one bobbing about on the ocean. 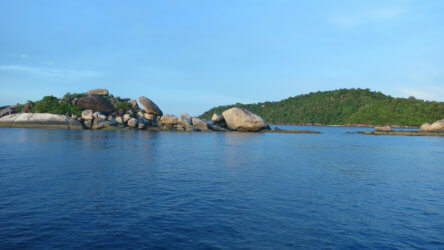 We’ve also yet to find a convenient greengrocer near our Phuket scuba diving tours. Whatever preparation method you choose, please do so well in advance of the dive. Leaving it until the last minute will cause a queue at the rinsing bucket. You’ll be subject to tut’s, various murmurings and snotty head shaking. Posted in Scuba Diving For Beginners on January 26, 2019 . 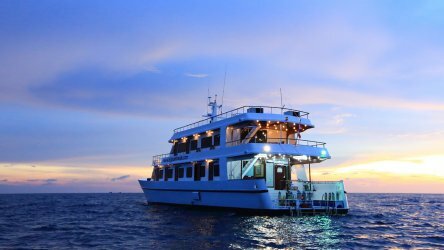 MV Hallelujah 10% Early Booking Discount!